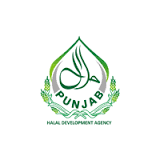 LAHORE (APP): Punjab Halal Development Agency (PHDA), the first ever public sector Halal Certification Body, will play a significant role in growth of Halal sector businesses of Pakistan. Pakistan National Accreditation Council (PNAC) Director General Miss Asmat Gull Khatak expressed these views at a seminar on the PHDA accreditation by PNAC, Ministry of Science and Technology, here Saturday. She said that after accreditation, the PHDA would help traders in catching their lion’s share from international Halal market that subsequently strengthen national economy. On this occasion, the PHDA Chairman Justice Khalil-ur-Rehman Khan said the Agency was striving to regulate Halal sector of Pakistan and its accreditation was a step towards achieving the objectives of its establishment by Punjab Government. All Halal businesses could obtain Halal Certification from PHDA to certify their products were Halal, he added. He also requested consumers to insist on purchasing only Halal Certified articles, food and non-food products, and also give preference to Halal Certified restaurants and hotels. He urged the manufacturers and producers to utilise Riba (interest) free finances for producing and processing food and non-food products. He explained that the process or the product may be Shariah-compliant but the product or process would not be Halal if the finance utilised was infested with interest. He emphasised that Islamic Banks should come forward to provide Halal finances to the producers and manufacturers. The Chairman also acknowledged the efforts and support rendered by sector stakeholders and USAID Punjab Enabling Environment Project (PEEP) for supporting PHDA in achieving the milestone of Accreditation from PNAC. Stakeholders from the Halal Industry participated in the ceremony to congratulate PHDA and also highlighted the issues being faced by the Halal Industry.